Dine at Spring and visit the South of France in Los Angeles. Husband and wife team Tony Esnault and Yassmin Sarmadi, whose iconic French bistro Church & State paved the way for sophisticated downtown dining, have created an oasis in the Douglas Building. Sitting in the atrium dining room, under the glass and steel roof, in the shade of a Pepper tree, listening to the trickle of the fountain, it’s easy to forget the bustle and noise of downtown. Executive Chef Tony Esnault brings the light and sophisticated cuisine of Southern France to Spring, his latest collaboration with partner and wife Yassmin Sarmadi. 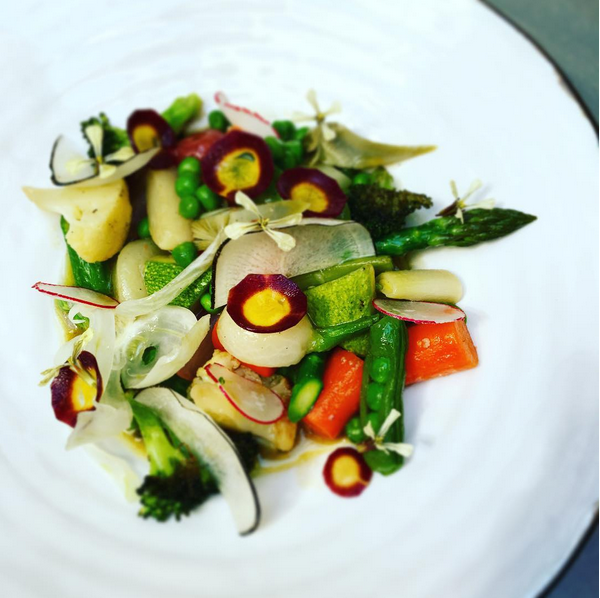 Spring opened in February 2016 at Los Angeles’ historic Douglas building, and presents a complementary culinary experience to the couple’s acclaimed French bistro Church & State. Growing up on his grandparents’ farm in the south of France, Esnault learned at an early age to appreciate seasonal ingredients and regional French cooking. One of his earliest culinary memories includes his grandmother showing him how to hunt and prepare every part of a rabbit. By eight years old, Esnault had already decided he wanted to become a chef. 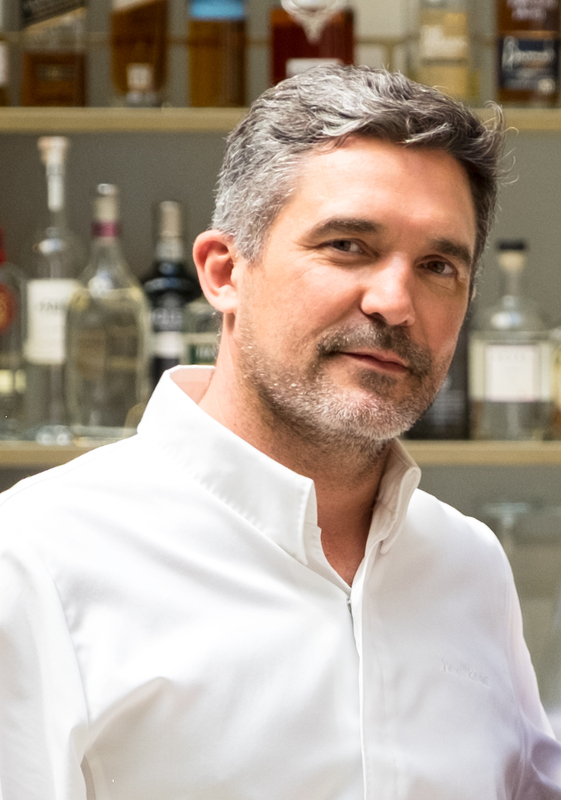 In his early culinary years, he trained at the François Rabelais culinary school in Lyon, and later honed his craft at multiple Michelin-starred restaurants across Europe, including Le Montparnasse 25, Carré des Feuillants, Auberge de L’Ill in Alsace, and in1996, at the legendary Louis XV restaurant in Monte Carlo, where he met his mentor, Alain Ducasse. Esnault relocated to Los Angeles in 2009 to take the helm at Patina in the Frank Gehry-designed Walt Disney Concert Hall, and a year later, Patina was awarded an exceptionally rare four-star review by the Los Angeles Times. At Patina, Southern California’s abundant produce provided Esnault with a new wave of inspiration and reverence for fruits and vegetables. Esnault resides in downtown Los Angeles with his wife and partner, Yassmin Sarmadi and their dog. In his free time, he collects art, antique cookware, and travels the globe.